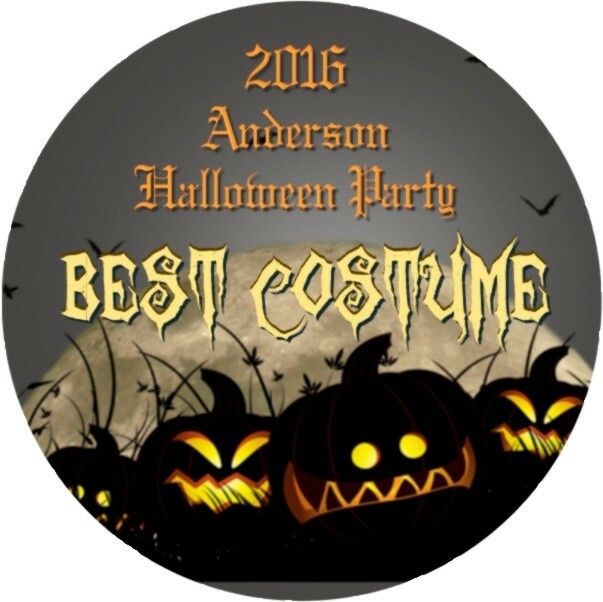 Hosting a Halloween party with a costume contest? 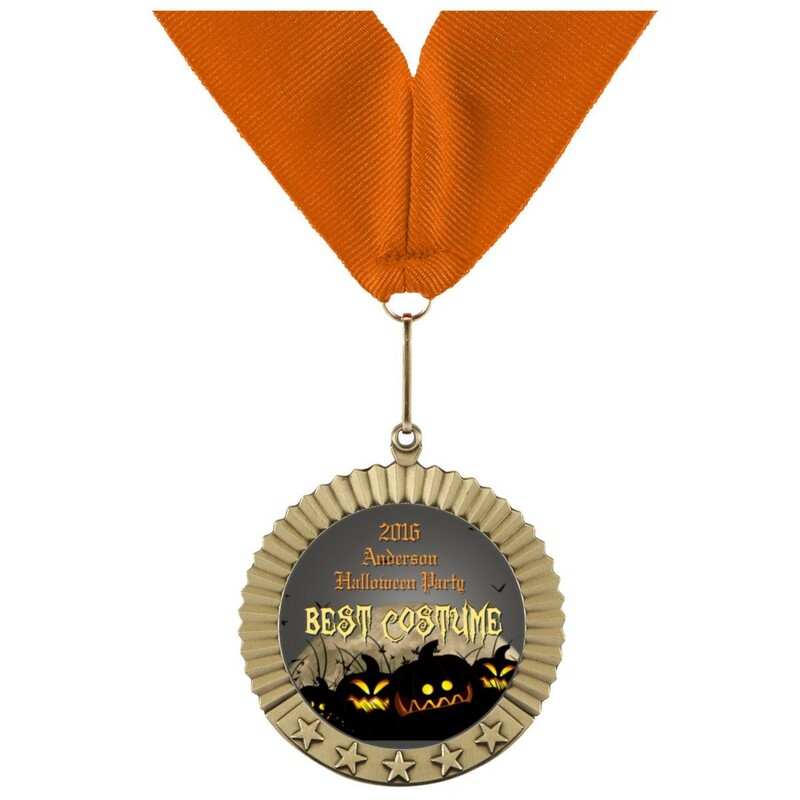 Award your most creative costume our Halloween Best Costume Medals! Measuring 2.75 inches in diameter, these Halloween medallions feature a spooky pumpkin patch with glowing jack-o-lanterns on Halloween night. Above is your personalized text customized specifically for your Halloween party. Available in gold, silver or bronze, these Halloween metals include a neck drape color in your choice of orange, black, or orange/black-combo.